My schedules were crazy for the past 2 weeks as this holiday season approaches. So I was thinking, what a better time to share some magical moments at the Haagen-Dazs Christmas Party with you on Christmas day itself. It was a simple yet magical party at Acme Bar & Coffee in The Troika, KL. There was a Hot Santa, photo booth, Sereni & Shentel headbands fashion show with Haagen-Dazs ice cream and guess what we had for dinner? Haagen Dazs ice cream for all the guest! As the party begins, models came out and had a fashion walk around the cafe with Sereni & Shentel Christmas 2012 collection and Haagen-Dazs Christmas collection. View the Haagen-Dazs Collection menu here. 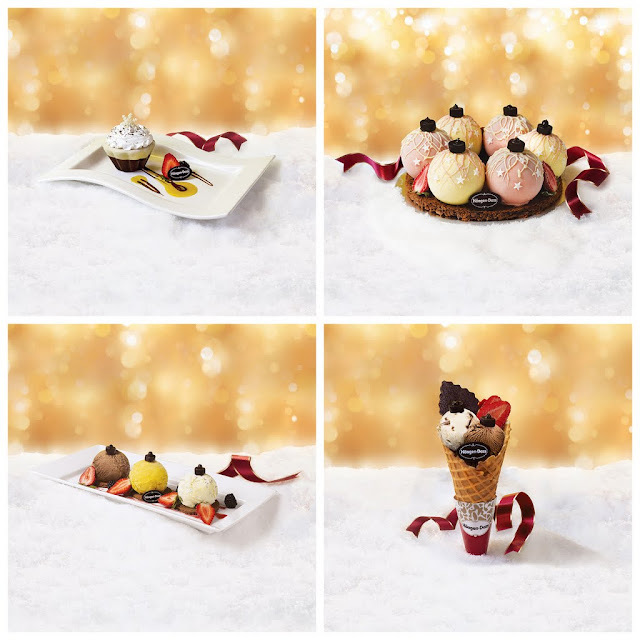 These Christmas collection ice cream are available Haagen-Dazs cafes. A candid shot with point8cam tasting some ice creams. The latest Christmas collection by Haagen-Dazs new limited edition ice cream flavour, Mint Leaves & Chocolate; mint ice cream infused with real mint leaves and indulgent chocolate fudge pieces.I’ve got my Haagen-Dazs this Christmas. How about you? Featuring tantalizing spread of mini ice cream scoops with flavours such as Mint Leaves & Chocolate, Belgian Chocolate, Mango & Passion Fruit and Strawberry. With assortment of fruits, pastries, cookies and a luscious pot of chocolate sauce decorated with snowflake icing. 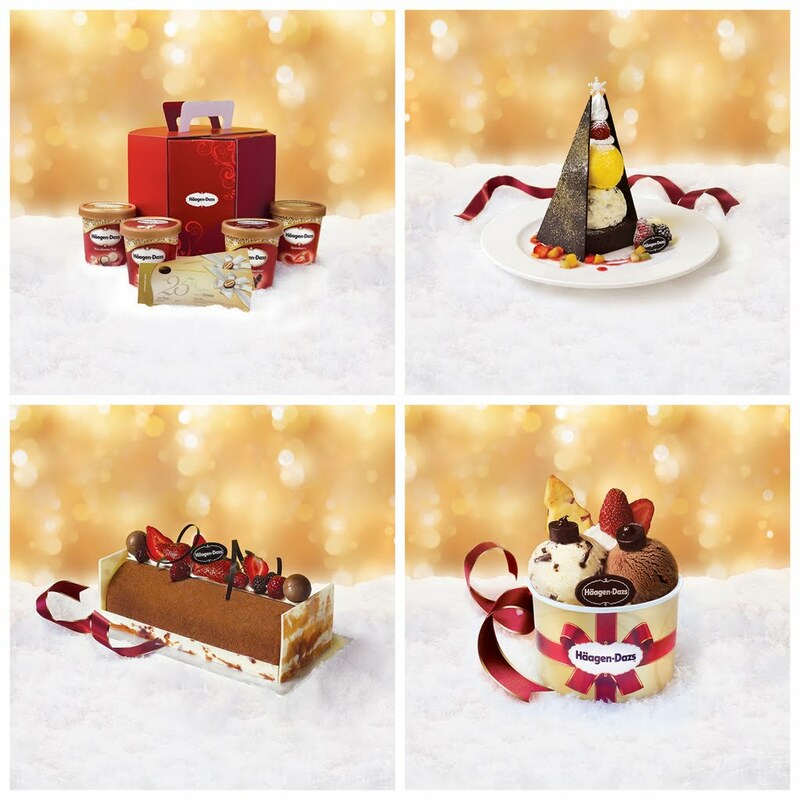 Clockwise: Timeless Decadence Gift Set (RM 130), Christmas Jubilee (RM 42), Winter Wonder (RM 21) and Yuletide Log (1kg – RM 158). Clockwise: Frosty Indulgence (RM 29), Noel Treasure Cake (RM 138), Christmas in a Cone (RM 23) and Noel Treasures (RM 36). 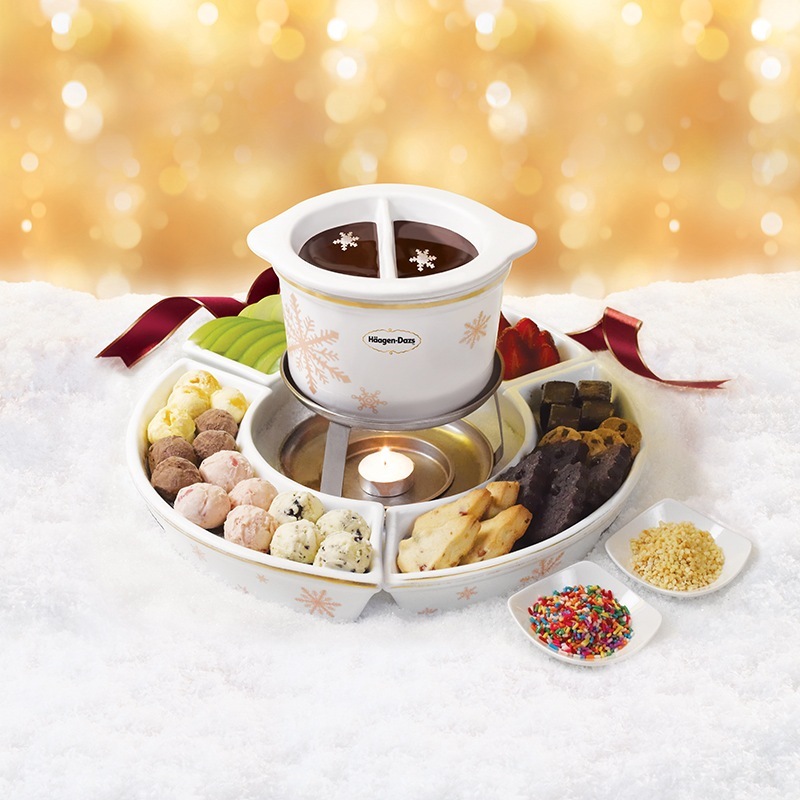 get updated on Haagen-Dazs Malaysia Facebook and their website.